Discover a new way to manage your business from Strategy definition to Project Execution. 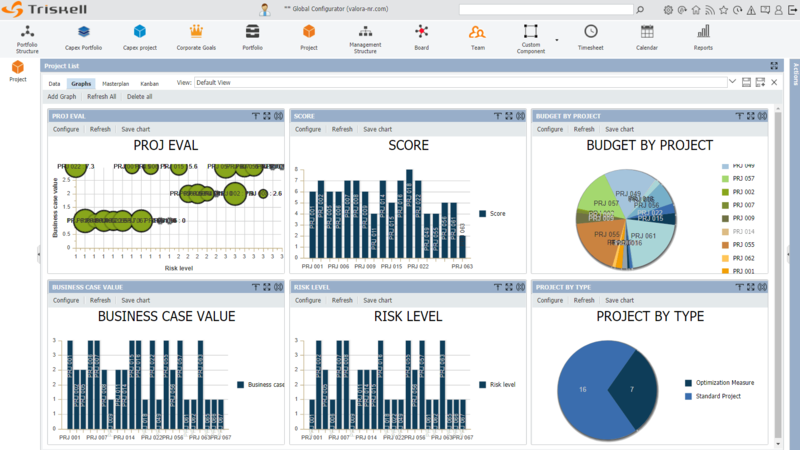 The most configurable Multi-Portfolio Management and Strategy Planning Software to support any kind of business and requirements. Ensure that all your resources are aligned to server your Strategy. Only Triskell combines real strategy management framework with best of class Project Portfolio Management. A real performance tracking, reconciliate strategic goals tracking with projects and execution output. Portfolio Monitoring and Planning. Thanks to Triskell’s easy-to-use Masterplan, Project and Initiative Scoring and Powerful Scenario Definition and Simulation, you can ensure you are taking on the right projects. Get Portfolios and Projects under control. Minimize discrepancy failure by gaining complete control over your project deliverables. Identify potential problems early in the project and provide the visibility to take corrective action before any resourcing or financial impact can occur. Get the full picture and drill-down into details. 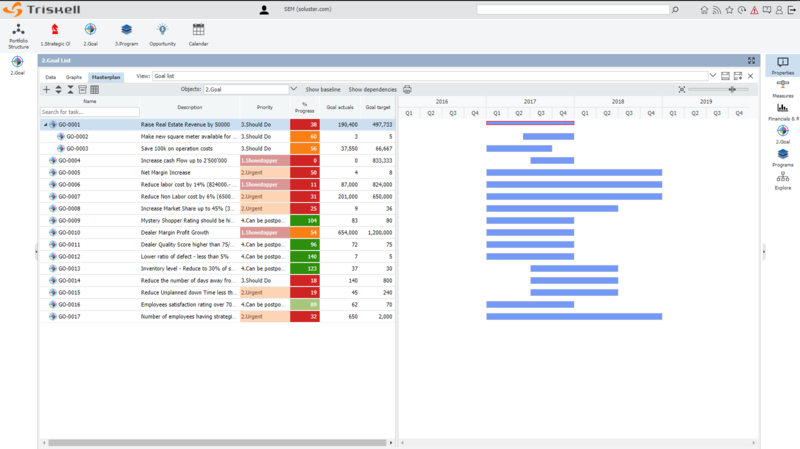 Triskell provides a single and consolidated view of any project, program, and portfolio status to improve governance by allowing executives, portfolio managers as well as project managers to make better project decisions. 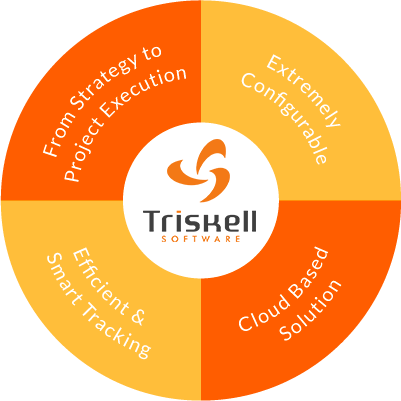 Because Triskell is so flexible, simple and robust it can support the complete strategy execution cycle. No matter the how you will define company goals or strategic planning, Triskell will support your process. Capture, align, link objectives, initiatives, programs and portfolios, across the entire enterprise to get business challenges under control and insure results. Get clear KPIs and status updates to measure progress and stay in the target. Ensure Everyone will pull together. Share you vision and goals, will create better software adoption sharing company goals and objectives accords the whole organization and projects, initiatives and business execution. Triskell enables the handling of complexity within organizations with their specific management requirements. Any workflow to support your own business processes, any kinds of business object. At Triskell we know that one size doesn’t fit all, every business is different. 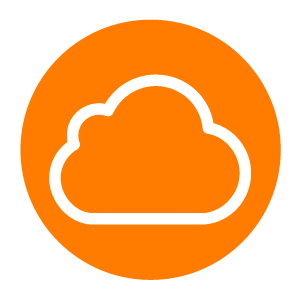 This this why Triskell is fully configurable and let you configure any kinds of portfolio applications to support your business. Several hundred clients, not a single line of custom code. 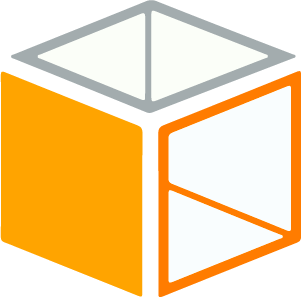 The needs of Companies and Users evolve over time, with Triskell and its unique open object model, you can activate new features or extend the scope & coverage of your Solution very easily. And more importantly, for Free and without any coding. Pilot with personalized and qualitative KPIs rather than being submerged with obscure numbers generated by standard and automated quantitative indicators. 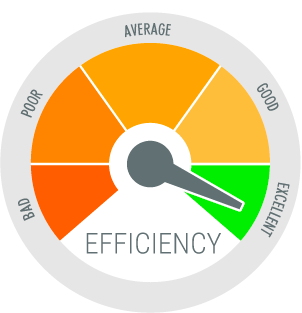 Standard strategy and PPM tools are too complicated, not well adapted to business, provides technical indicators rather than appropriated business KPI. Triskell is built to let each organization define its own KPIs and indicators to match users and managers expectations. A new way to work, more agile, more efficient. SaaS means security and cost saving. Triskell runs on high-performance data centers, which guarantee accessibility, performance and safety.Our data centers offer a 24/7/365 service. Triskell is designed to support organizations from the for smallest local ones to the largest international ones. You can multiply by 1000s the number of Triskell users and projects without having to resize any physical or logical component. The under-utilisation of hardware based on hypothetical future needs is something that Triskell Software has pushed into history. All customers share the same version of Triskell web application.